French dessert recipes will help to complete your delicious family meal and here you will find some really easy dessert recipes. Of course you could just make one of these divine desserts on their own for a great treat when you are settled in for the evening and all you want is a plateful of heaven! These are some of my favourite recipes, suitable for your family meals or for entertaining friends. They are sure to please everyone and are not so difficult to make. They say the 'proof of the pudding is in the eating' – and 'Oh boy, will you be eating once you have made these heavenly desserts!' Just be passionate about your food and your love affair with French recipes will grow! A traditional French apple tart recipe that is a winner with everyone. It is easy to make and can be eaten hot or cold making it so versatile and a wonderful standby for family meals or entertaining. 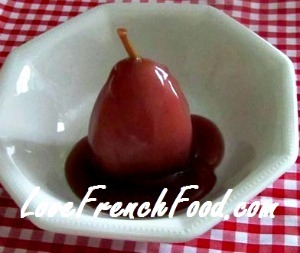 This is a real favourite of all French dessert recipes so I hope you like it too. 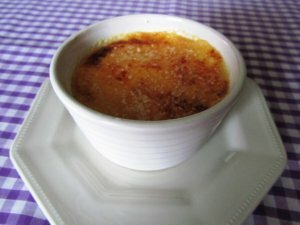 If you could imagine a little pot of heaven then this creme brulee recipe will give you just that! It's a rich creamy smooth dessert worthy of a little pot of gold! For special family meals or entertaining your friends, it's another french recipe to fall in love with. 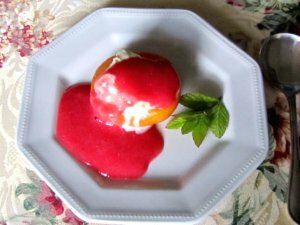 A classic French dessert created by one of the great French chefs, Auguste Escoffier, for the opera singer, Nellie Melba. Make good use of juicy fresh peaches with this easy recipe. 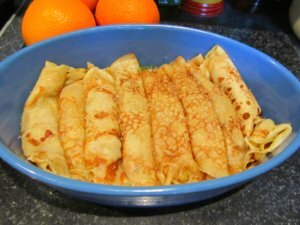 Crepes suzette are a French classic dessert. So simple to make yet amazingly delicious. 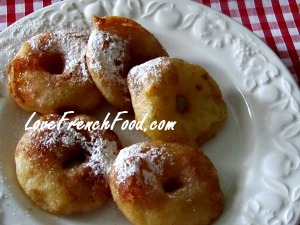 Little French pancakes for you to make anytime the mood takes you - are you ready to fall in love? 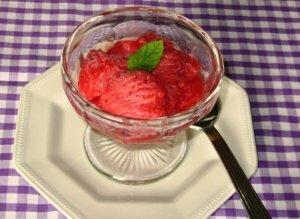 A strawberry sorbet is just the recipe you want for a hot summer's day. They are sometimes called 'ices' and are so delicious and refreshing after a meal. They are delicious on their own too for a treat. Cool and refreshing, tasty and nourishing! 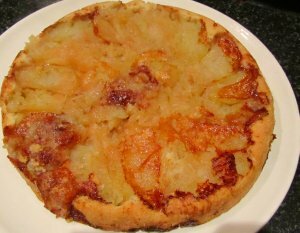 Tarte Tatin is a classic French dessert, invented quite by accident by the Tatin sisters. It has since become one of the greatest pleasures! Who could resist an apple pie of this quality served warm with a little fresh cream or creme fraiche! French dessert recipes don't get better than this! Love on a plate! 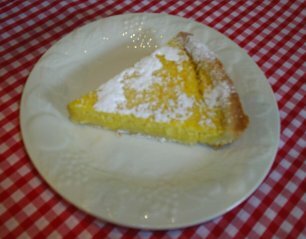 A delicious lemon tart recipe that is refreshingly tangy and makes a wonderful French dessert. This is a very popular dessert and you will find it in bistros and patisseries all over France. 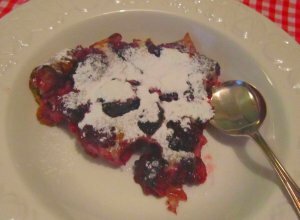 A delicious Blackberry dessert or clafoutis aux mures is a simple, peasant French dessert recipe for family meals. A light batter pudding filled with fresh blackberries to make your mouth water! 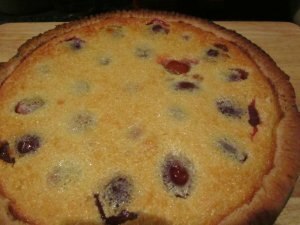 A popular Plum Tart or Alsatian Plum Tart is one of the French dessert recipes from the Alsace region of France. It is absolutely heavenly and will be a favourite with everyone. You can use fresh plums when they are in season or in fact any seasonal fruit or a mixture of fruits. Baked pears with a warm ginger and cream sauce is really and truly absolutely divine. 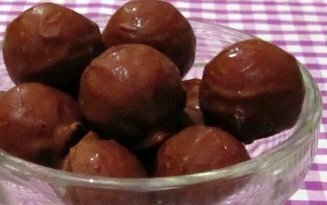 Not strictly a dessert but these gorgeous chocolate truffles are for all you chocoholics who would prefer to indulge yourselves just once in a while with a special treat. I feel these will satisfy anyone who loves chocolate. 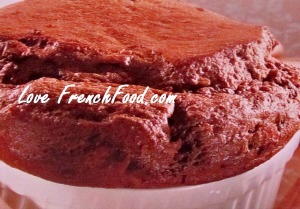 A mouthwatering chocolate souffle - this is truly a French dream of a dish. It melts in your mouth and is gone in a flash, but oh, it is heavenly! 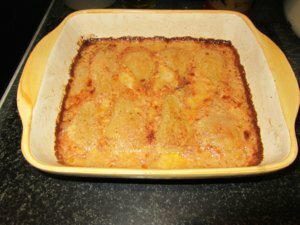 ...and while they may not be French, of course, if you like bananas why not take a look at some easy banana recipes.